There are many ways you can contact KineMedics. Start by contacting one of our locations nearest you. Due to the change in ownership and closing of the Winsport Medicine Clinic please note that our Calgary office located within the Winsport facility will be permanently closing as of July 25th 2017. For any customer service or general inquiries please call 403-456-2219 or email us at info@kinemedics.com. One of representatives would be happy to help you. We apologize for any inconvenience this may cause. Our new satellite store locations are available inside existing medical facilities. 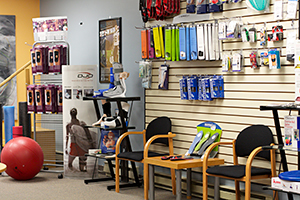 Specialty bracing products and foot orthotics are available by appointment only. please contact the individual location for more information.